Sara Ali Khan, Sussanne Khan and Rhea Kapoor arriving at the party. 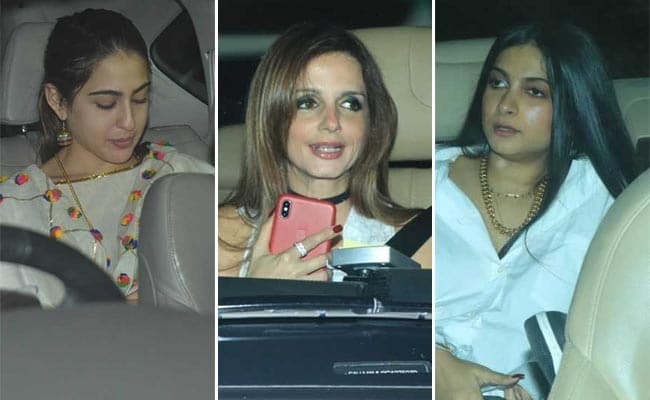 Sara Ali Khan and Amrita Singh managed to take some time off their busy schedules and were spotted at designer Abu Jani's birthday party, which was organised in Mumbai on Wednesday night. Besides the mother-daughter duo, film producer Rhea Kapoor and interior decorator Sussanne Khan also received invites for the designer's birthday party. Sara, Rhea and Sussanne showed up in white outfits. 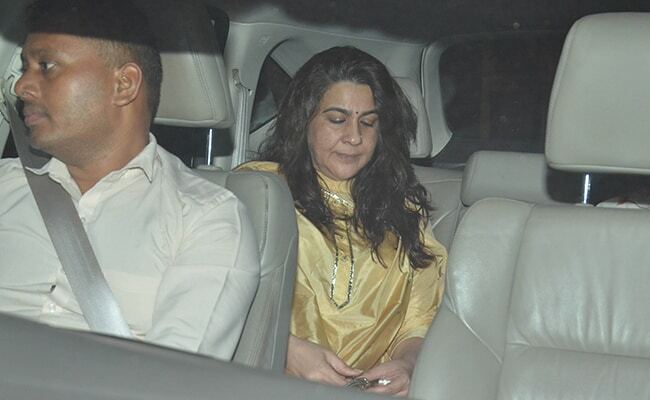 Sara Ali Khan looked pretty in a traditional white suit, while Amrita Singh opted for a yellow coloured outfit. Rhea Kapoor looked chic in a crisp white shirt, which she paired with a pair of blue denims. Sara Ali Khan arriving at the party. Amrita Singh at the party. Sussanne Khan at the party. 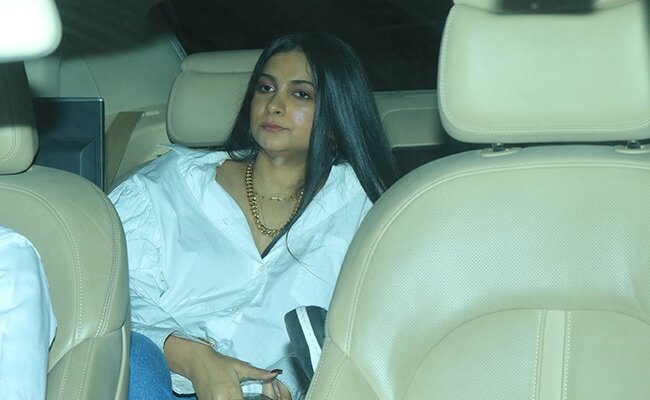 Rhea Kapoor photographed at the party. Sussanne Khan, who showed up at the party in a monochrome outfit, shared a picture from Abu Jani's birthday celebrations on her Instagram profile. She captioned the post: "Happy happiest birthday to our sweetheart maestro Abu Jani. You are magnifique. Shine on nonstop." She added the hashtags "#roomfulloflove," "#headsfullofdreams" and "#bigheartsbigsmiles" to her post. From Sonam Kapoor, to Sara Ali Khan and even Shweta Bachchan Nanda, all the Bollywood A-listers swear by designer duo Abu Jani and Sandeep Khosla's designs. Sara Ali Khan is currently busy with the shooting of Imtiaz Ali's film, which is said to be the sequel of his 2009 film Love Aaj Kal. The film also stars Kartik Aaryan. Sara made her Bollywood debut with Abhishek Kapoor's Kedarnath alongside Sushant Singh Rajput. Sara was last seen in Rohit Shetty's super hit film Simmba, in which she co-starred with Ranveer Singh.